Our trip to Australia was much more planned out. We stayed in Melbourne, but we flew out to Surfer's Paradise for a day. Bundoora Park is billed as the most diverse park in Melbourne. It is home to many native wildlife species. No drop bears, though. The city of Melbourne is a beautiful place with many unique buildings. Also, check out these awesome views from the Railto Towers. The Internet connects people from around the world, and we used the opportunity to meet some of the people we've met online in both Melbourne (Meri and Arithorn) and Surfer's Paradise (Numai and Zanira). 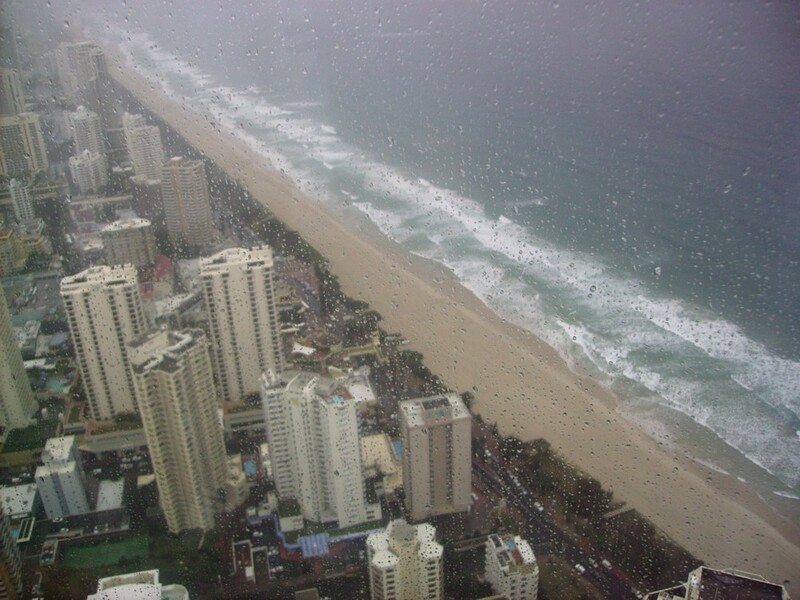 Finally, a view from the Q1 in Surfer's Paradise.